> Credit and Debt Videos: Don’t Get Duped! Credit and Debt Videos: Don’t Get Duped! 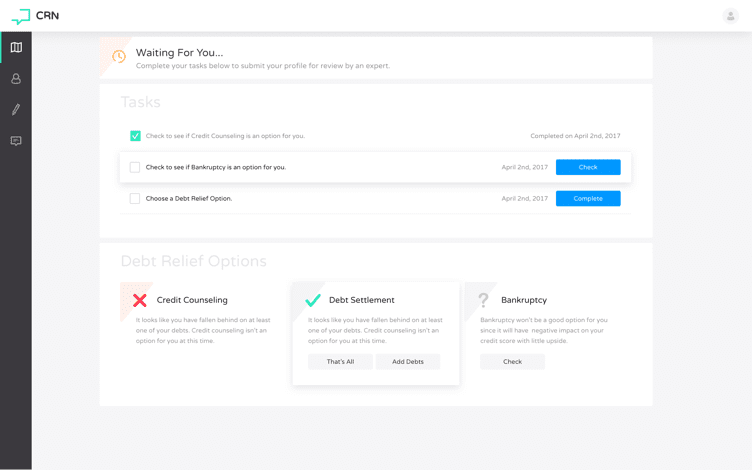 Our credit and debt relief videos, below, range in topics from deciding the best way to tackle your debt using conventional wisdom; settling credit card debt for less; using a credit counseling agency; or if/when filing bankruptcy makes sense, and so much more. You can also view these videos on our DebtBytes YouTube Channel organized in playlists by topic. Each of these debt videos covers specific topics, tips, tricks and “how to” details about resolving debt that you just won’t find anywhere else. Hover over any video below and click the red play button in the center to watch it. If you have a debt- or credit-related video topic you would like to suggest I cover in a video, please post your suggestion in the comment section at the bottom of this page. If you have questions about anything after viewing any of our videos, post those as well. Declined for a credit card? It's possible you've been blacklisted. How little do I have to owe to avoid getting sued? Settling Multiple Accounts at Once may Save You Money and Grief! Are you judgment proof against getting sued?